The Toyota HiAce is a perfect choice for the people whose basic requirement is a wider cargo capacity with standard features. The Toyota HiAce is one of the sought-after van vehicle in the Philippines. It has a clean exterior with chrome accents which makes it good as either a family van, a business vehicle, or even as the official office ride, and more. The Toyota HiAce gain its popularity in the domestic market since its base variant is one of the most affordable options for personal and for commercial use. The Toyota HiAce has a big engine under the hood. But its power delivery has been on the not its strength, as it was never an outright powerful car. The Toyota HiAce has an abundant amount of torque to offer, it can also carry 15 passengers without feeling heavy on the accelerator pedal. The new Toyota HiAce is also known to be one of the most fuel-efficient cars in its segment which can even accommodate more than 10 occupants or passengers. The Toyota HiAce is quite big and spacious, it has a box and big dimensions for its interiors. The boot space is can be increased further by folding down the rear row. Inside the vehicle, it will give you more comfort compared to other vehicles. The Toyota HiAce has dual air-conditioning and AC vents for each row, which is perfect for the summer day in the Philippines. For the car's dashboard, the placement of everything, along with their quality, seem to be extremely on the right spot. For its gear knob, it is placed on the dashboard which makes the front seat cluster cleaner and more spacious. In the right side, at the back of the front seat headrests, there are two screens which support DVD and could be the perfect companion for long drives. 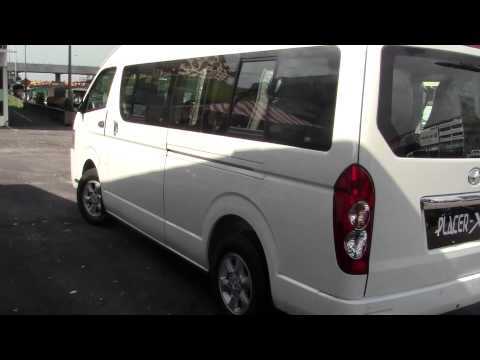 The Toyota HiAce displays an exquisite styling and a perfect big size vehicle. 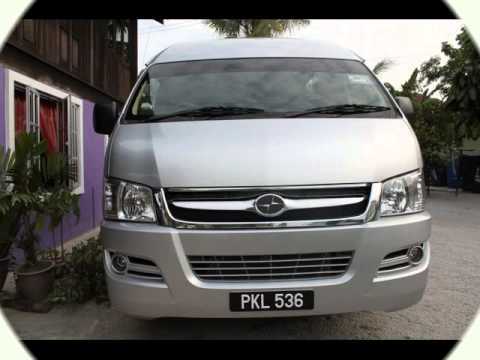 It is bigger than any other minivans and which can accommodate so many passengers easily. The design of the new Toyota HiAce extremely shows that it is much of a van type. It has that upright posture and the slanting windscreen add to the attractive bits. Since it is a boxy design, the interior appears to be huge and every inch of the cabin can be utilized. Upfront of the Toyota HiAce is distinctly a feature that is recognizable for a van. It has that chrome grille and the large headlamps are unmistakably fitted in with absolute perfection. It has sliding doors that are bigger and the B-pillars of the vehicle. It also brings about a halt at the monotonous window line. The Toyota HiAce rides on 15-inch wheels at all ends, which appear to be slightly smaller for a vehicle this big. The tires are quite thick to carry many passengers. For its old model, it has a 2.5-litre diesel engine that was always considered to be enough to drag 15 people nicely. But it could feel slow due to the lack of optimum grunt. The new Toyota Corolla now has the 3.0-litre turbo diesel engine which is made up for the lack of grunt from its old model. It has the 2,982-cc, four-cylinder engine which can make a maximum power of 134 PS at 3,400 rpm along with a peak torque of 300 Nm, which comes between 1,200 rpm and 2,400 rpm. The power is sent down to the rear wheels through a 5-speed manual or a 4-speed automatic gearbox. The Toyota HiAce is a 15-seater vehicle which only gets the manual transmission only. It has a good amount of torque which provides power to the wheels. The increase in 33 PS power and 40 Nm torque over the previous 2.5-litre engine feels good without being brash. The Toyota HiAce has a huge loading capacity and matched with a powerful engine under the hood. It offers a fuel efficiency of slightly over 12 kmpl. The Toyota HiAce is not one of the safest cars in the Philippines due to its big size and more bus-like seating, but the features seem to be very much the same with other cars in its segment. It comes with two safety airbags which are offered as a standard feature of the vehicle, one for the driver and the front occupant. It also has an ABS which is also offered as a standard fitment across all the variants barring the low ones. The lacks the electronic brakeforce distribution and stability control which makes driving at top speed, with the cabin completely occupied, and slightly scary. When it comes with the security features of the Toyota Corolla, it includes a vehicle immobilizer and a security alarm which are added to the equipment list to make it more relevant to the competitors. There also safety features inside, just in case you encounter a bad situation. Seat belts are fitted in for all the seats. The Toyota HiAce is available in 3 different color options - Black Mica, Silver Metallic and White Pearl Two Tone.